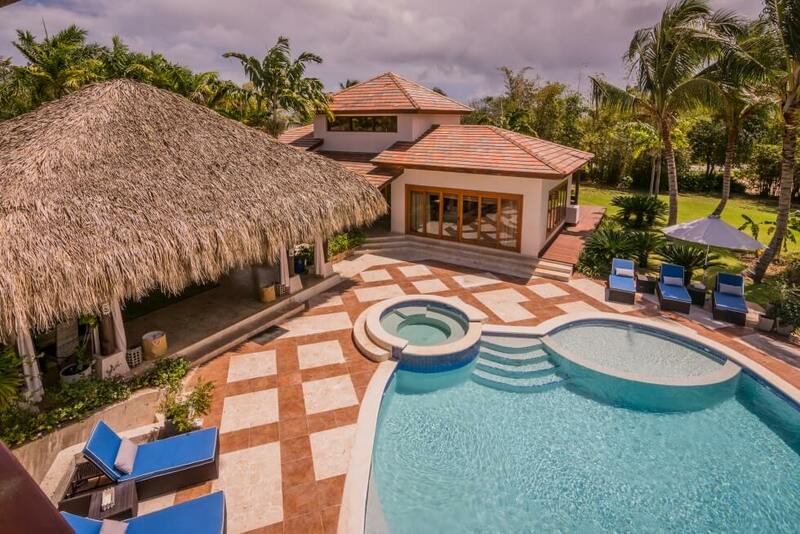 This cozy island villa is an ideal Dominican Republic property conveniently located next door to the prestigious La Cana golf course at the Punta Cana Resort and Club. 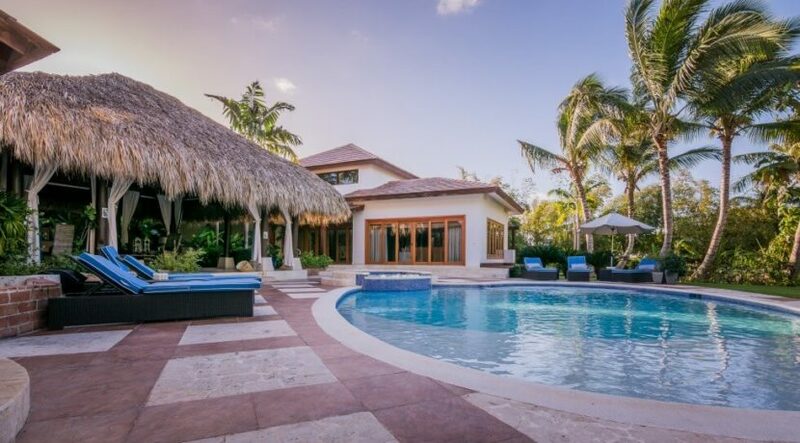 This five bedroom, seven and one-half bathroom private paradise spans 11,000 sq. ft., spacious enough for 12 occupants to relax and enjoy the sea breeze in absolute comfort. Just a short five-minute drive from the airport, this villa is strategically located to deliver a stress-free getaway. Upon arrival, you are greeted by a resort employee who will whisk you through the process of customs and immigration and ensure a smooth check-in process so that you can enjoy the perfect white beaches and turquoise water. Unwind beneath the swaying palm trees in the beautiful ocean breeze, or soak in the private hot tub while enjoying a fruity tropical drink. Book an unforgettable spa experience at the Six Senses Spa before you feast at one of the on-site gourmet restaurants.